SRINAGAR: The polls are scheduled to begin on October 8, followed by the second phase on October 10, third phase on October 13 and last phase on October 16. 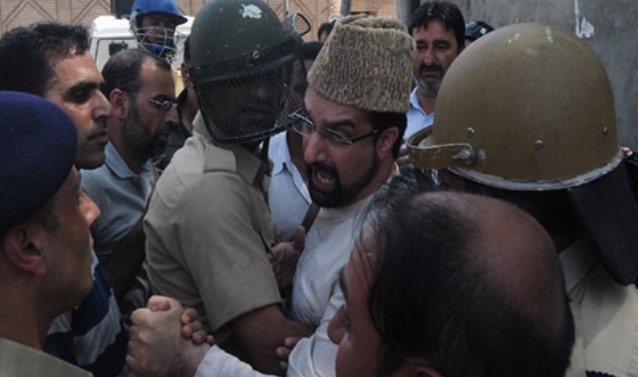 Hurriyat (M) chairman Mirwaiz Umar Farooq was put under house arrest on the eve of Jammu and Kashmir civic polls, a move he termed as “mockery of democracy”. Jammu and Kashmir is going to vote for civic polls in first phase tomorrow. The polls are scheduled to begin on October 8, followed by the second phase on October 10, third phase on October 13 and last phase on October 16. The counting of votes will be done on October 20.